There are rooms and semi-independent studios available to rent on Avenue du Prince Héritier in Woluwe-Saint-Lambert. The room has a double bed with wooden flooring and a private bathroom. The shared kitchen is located on the 2nd floor of the building. The location is central; you'll be living on Erfprinslaan, just a short walk from the Joséphine-Charlotte metro station, giving quick access to the centre. You're also within walking distance of the Parc du Cinquantenaire. We like the wooden flooring. Although on level -1, there is still plenty of light. The area is well connected. You would have to share the kitchen with 3 other people that live in the building. 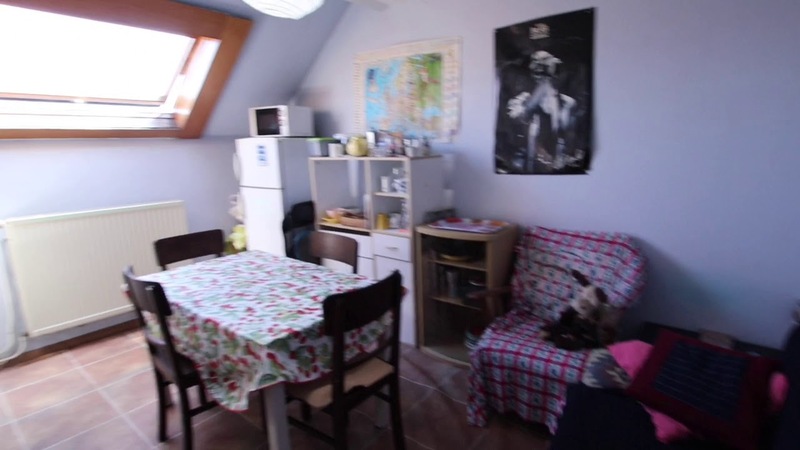 The shared kitchen is located on the 2nd floor while this semi-independent studio is on the -1. Time to work out those legs! Gribaumont and Joséphine-Charlotte metro stations, both on line 1.